Keep your tallest stacks of paper organized with our set of fifteen Jumbo Paper Clips. These giant paper clips are identical to traditional paper clips except for one big difference: they're enormous! At four inches long, each one is capable of holding over 100 sheets of paper! 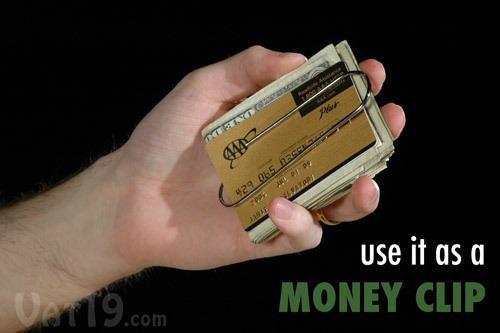 Other uses include: bookmark, money clip, and keychain. 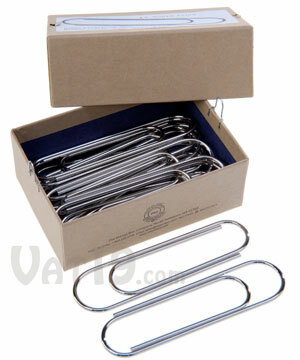 Each set of fifteen nickel-plated steel paper clips is packaged in a gift box. Made in the USA. Dimensions (gift box): 4.5" x 3 x 1.5"
Bigger doesn't always mean better. But in this case (and in the case of all of our other jumbo products), it certainly does. 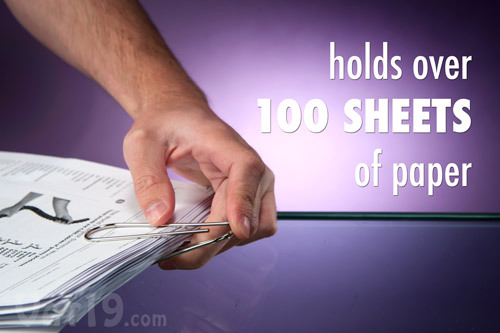 Each Jumbo Paper Clip is quite capable of holding over 100 sheets of paper. Plus, they're ginormous, 4-inch-tall paper clips! How cool is that? Ice cold. Jumbo Paper Clips can easily hold over 100 sheets of paper. Other than holding giant stacks of useless papers together, Jumbo Paper Clips have other useful functions. They can be used as bookmarks, keychains, money clips, or even as heavy duty paper clip shooters (be careful, now, children). 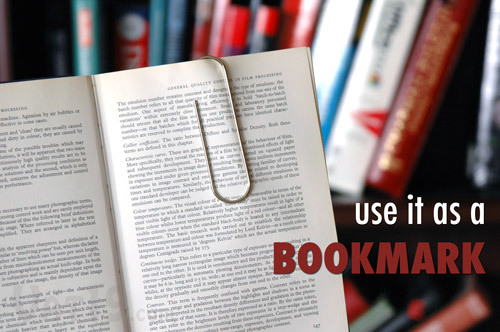 Our giant paper clips can be used as a bookmark. 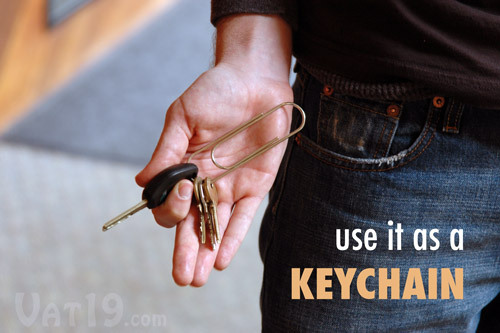 A Jumbo Paper Clip for a keychain definitely makes a statement. Although not as full-featured as the Money Clamp, a giant paper clip certainly gets the job done. 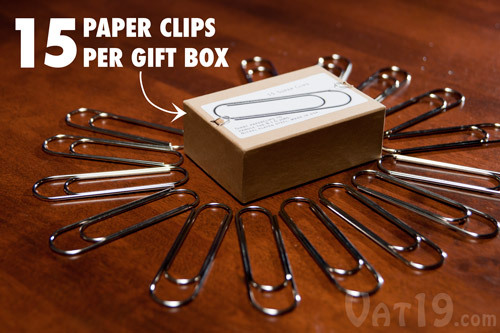 You won't have to feel embarrassed that you're giving your friends "office supplies" because the Jumbo Paper Clips come packaged in an attractive kraft gift box. Each set includes fifteen giant paper clips. Your set of fifteen Jumbo Paper Clips comes in this attractive gift box.